Downtown Gem! 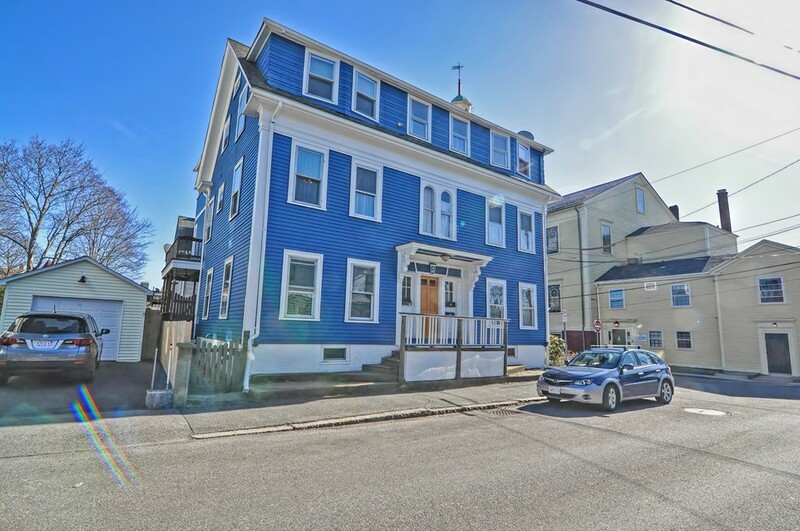 Updated 3 Bedroom condominium with classic colonial details & flexible floor plan. Third floor unit opens into a dramatic foyer with stunning Hardwood floors leading to a sun filled living room with Berber carpet & decorative mantle. Eat in Kitchen features stainless, steel appliances, crisp white cabinets & large island. Walk in closet with laundry abuts spacious master bedroom. Full bathroom boasts wainscoting & claw foot tub. Chose how you use the remaining two rooms; bedrooms, dining, office, studio! Recently painted exterior, TWO off street parking spaces. Walk to train and just steps to main street, waterfront and boulevard. Walk score 93! !